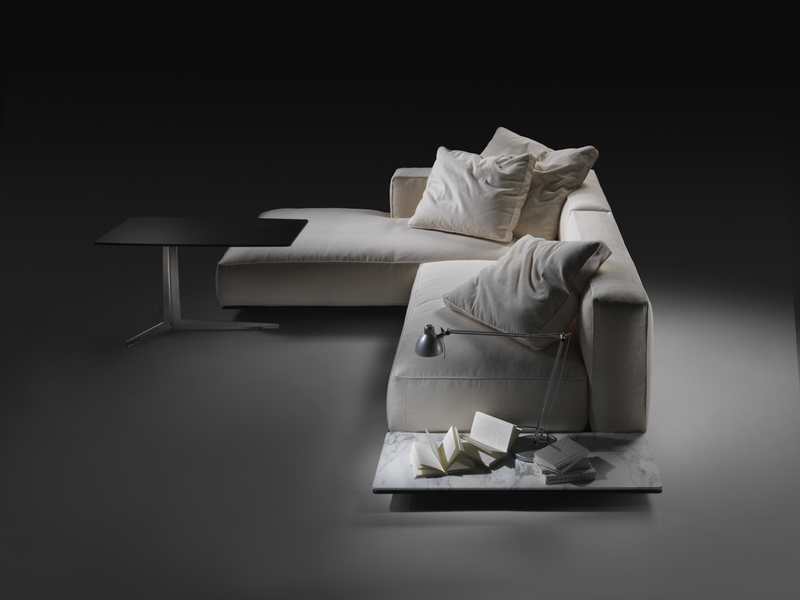 GRANDEMARE stands out for it large single seat, a block that rests on a platform in wood and metal, covered in cowhide, taking on unique body and a definite, precise profile. 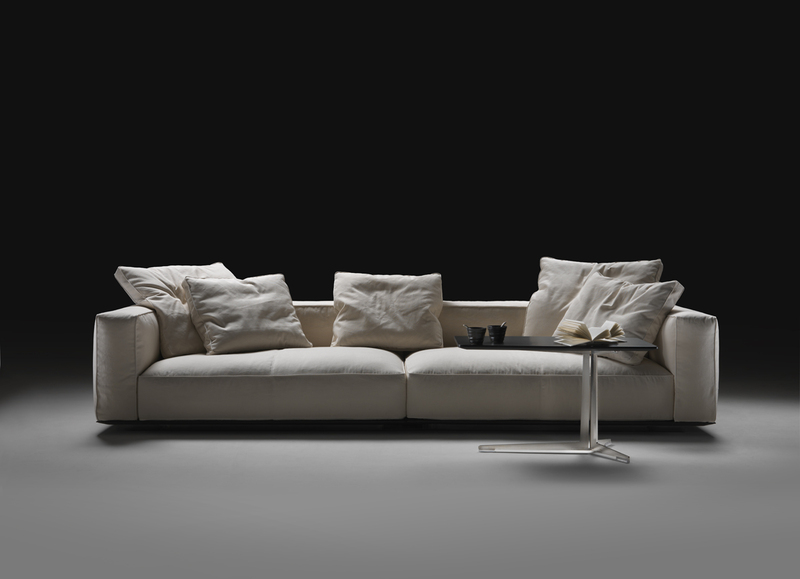 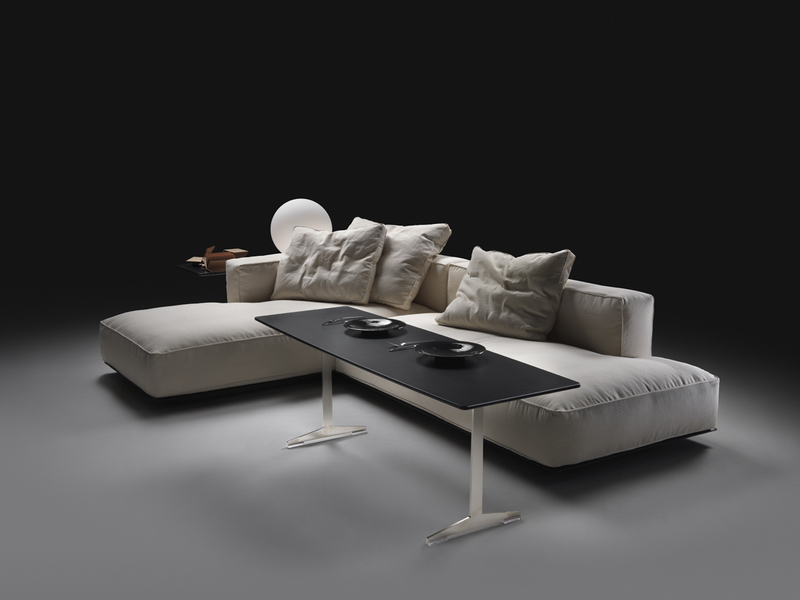 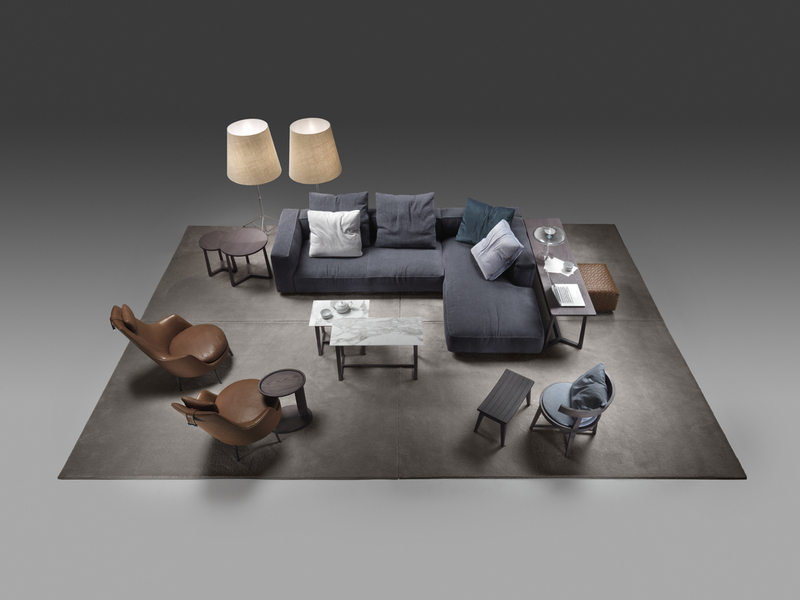 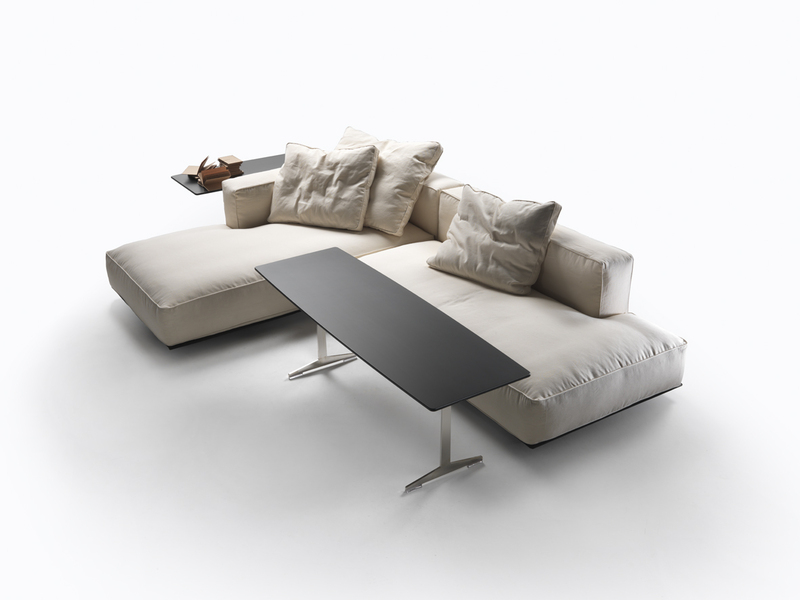 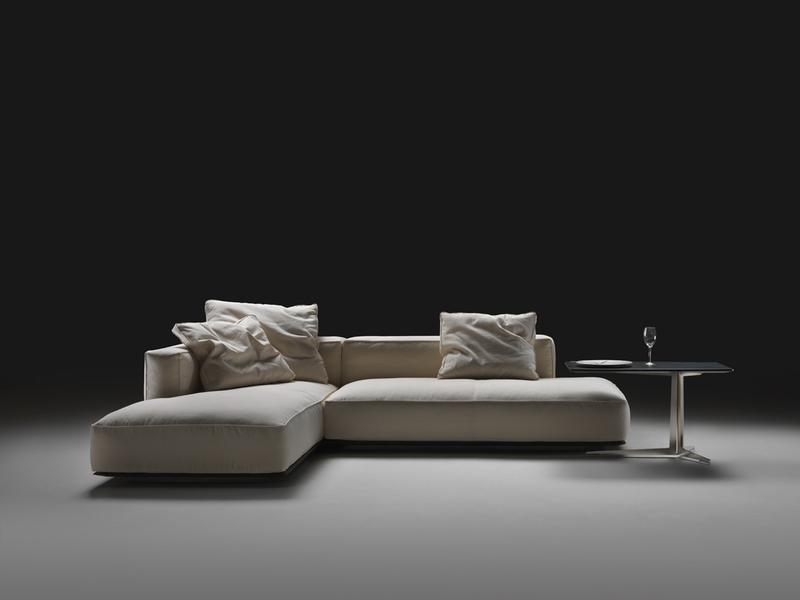 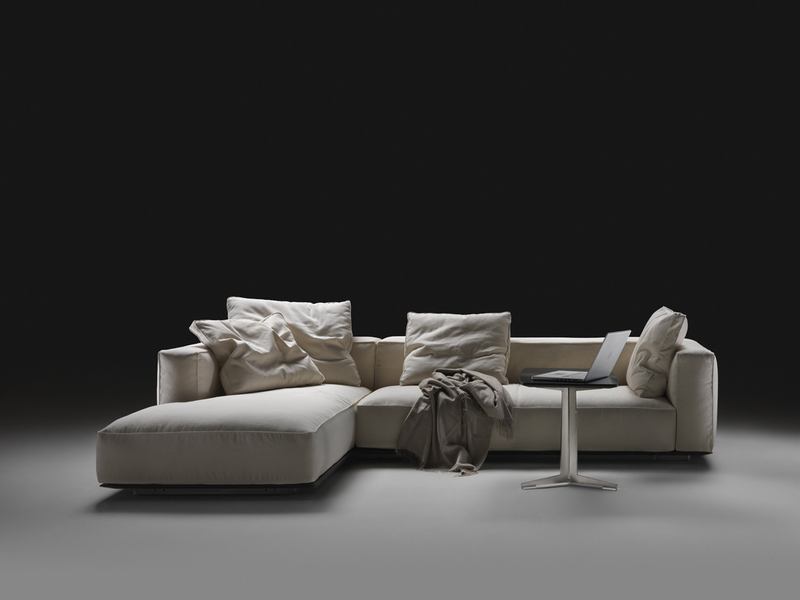 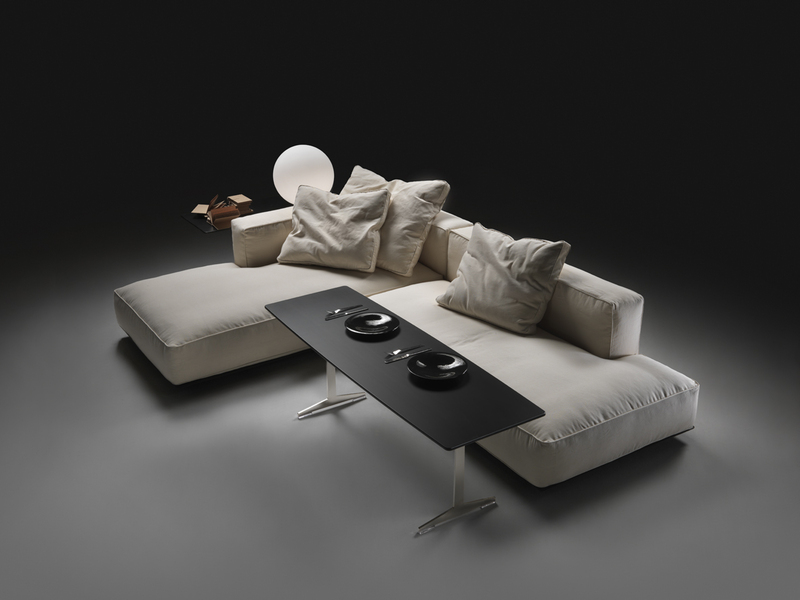 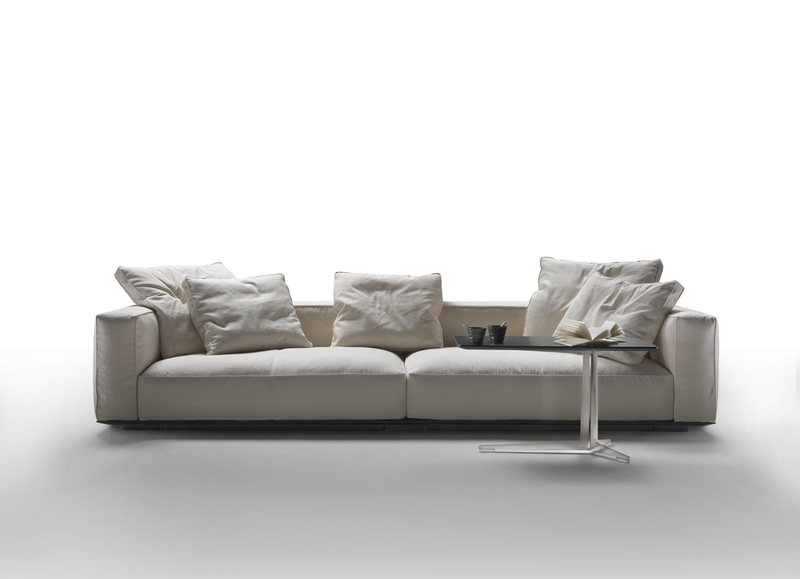 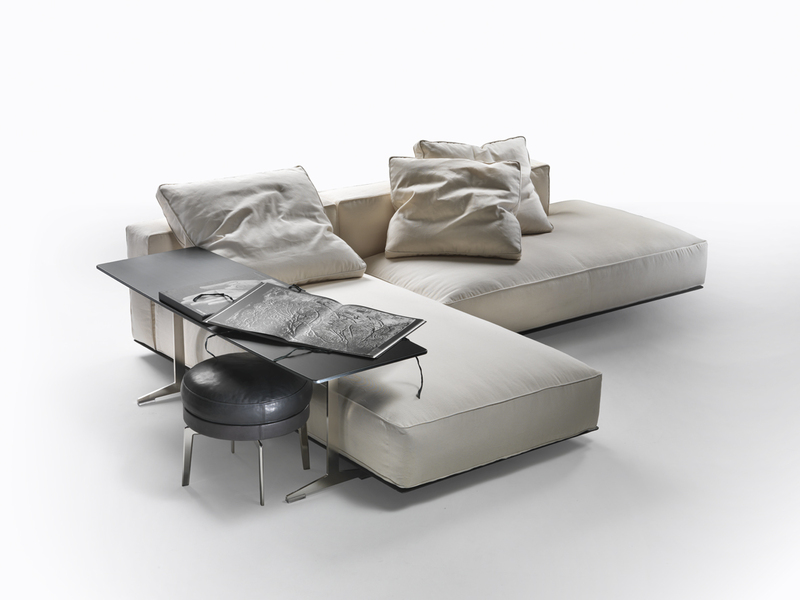 GRANDEMARE is a family of sofas for infinite combinations. 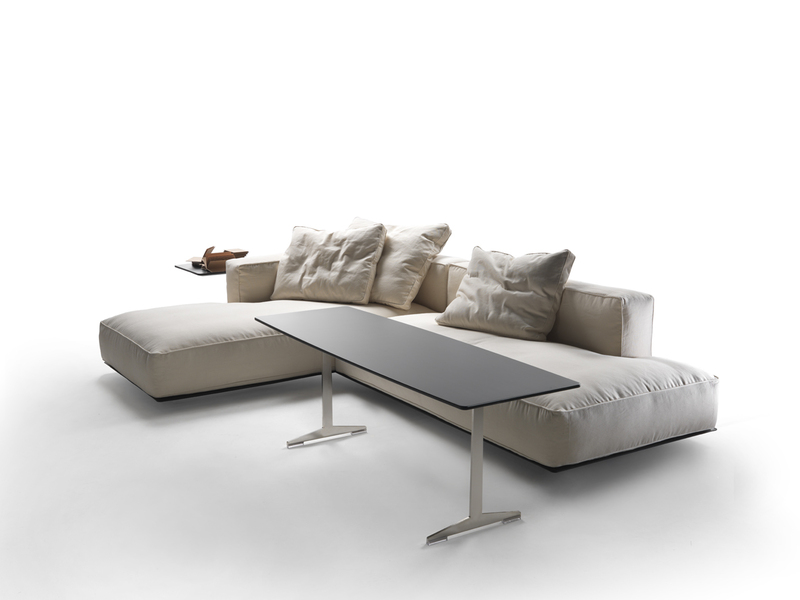 Ample, generous, like a great sea, they enter the living area in a wide range of different configurations. 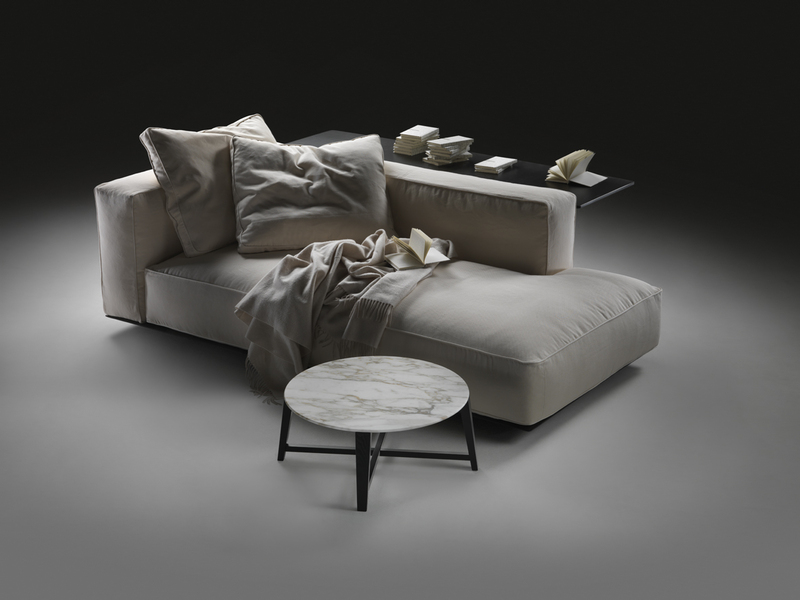 The low back welcomes a series of small and large cushions in soft down, with optional contrasting grosgrain finish to add dynamism to the monolithic presence of the deep seat. 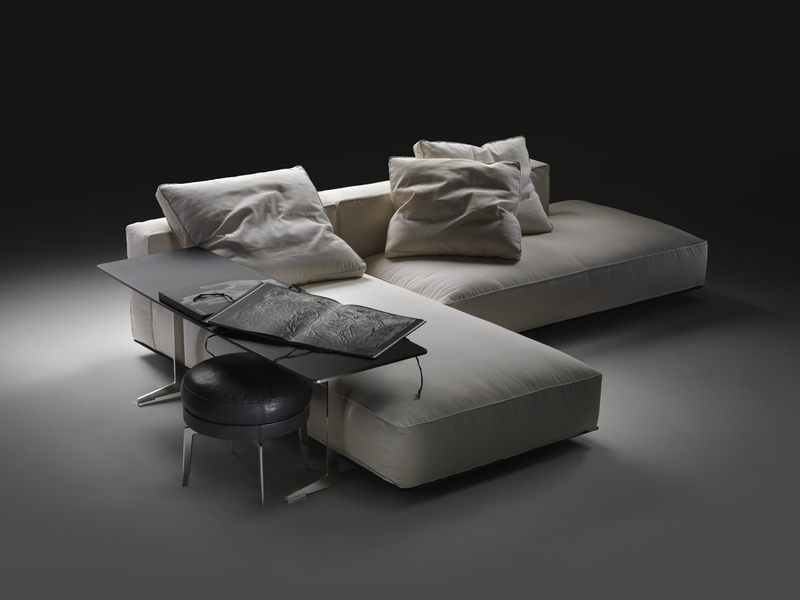 Grandemare also comes in a bed version that replicates the proportions and aesthetic concept of the sofa.